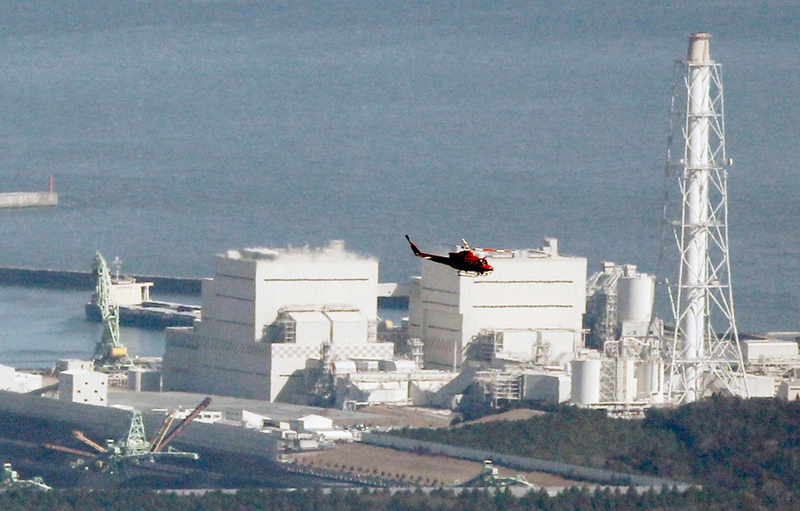 NEWLY RELEASED NEUTRON DATA FROM THREE UNIVERSITY OF CALIFORNIA San Diego scientists confirms Fairewinds’ April analysis that the nuclear core at Fukushima Daiichi turned on and off after TEPCO claimed its reactors had been shutdown. This periodic nuclear chain reaction (inadvertent criticality) continued to contaminate the surrounding environment and upper atmosphere with large doses of radioactivity. In a second area of concern, Fairewinds disagrees with the NRC’s latest report claiming that all Fukushima spent fuel pools had no problems following the earthquake. In a new revelation, the NRC claims that the plutonium found more than one mile offsite actually came from inside the nuclear reactors. If such a statement were true, it indicates that the nuclear power plant containments failed and were breached with debris landing far from the power plants themselves. Such a failure of the containment system certainly necessitates a complete review of all US reactor containment design and industry assurances that containments will hold in radioactivity in the event of a nuclear accident. The evidence Fairewinds reviewed to date continues to support its April analysis that the detonation in the Unit 3 Spent Fuel pool was the cause of plutonium found off site. Third, the burning of radioactive materials (building materials, trees, lawn grass, rice straw) by the Japanese government will cause radioactive Cesium to spread even further into areas within Japan that have been previously clean, and across the Pacific Ocean to North America. 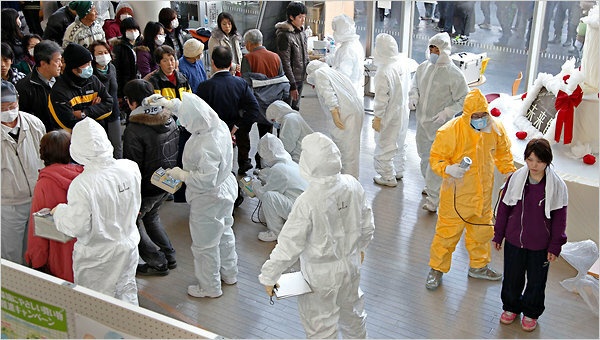 And finally, the Japanese government has yet to grasp the severity of the contamination within Japan, and therefore has not developed a coherent plan mitigate the accident and remediate the environment. Without a cohesive plan to deal with this ongoing problem of large scale radioactive contamination, the radioactivity will continue to spread throughout Japan and around the globe further exacerbating the problem and raising costs astronomically. *Note: Single radiation dose of 2,000 millisieverts (200,000 millirems) and above causes serious illness. “FUKUSHIMA IS THE BIGGEST INDUSTRIAL CATASTROPHE in the history of mankind,” Arnold Gundersen, a former nuclear industry senior vice president, told Al Jazeera. 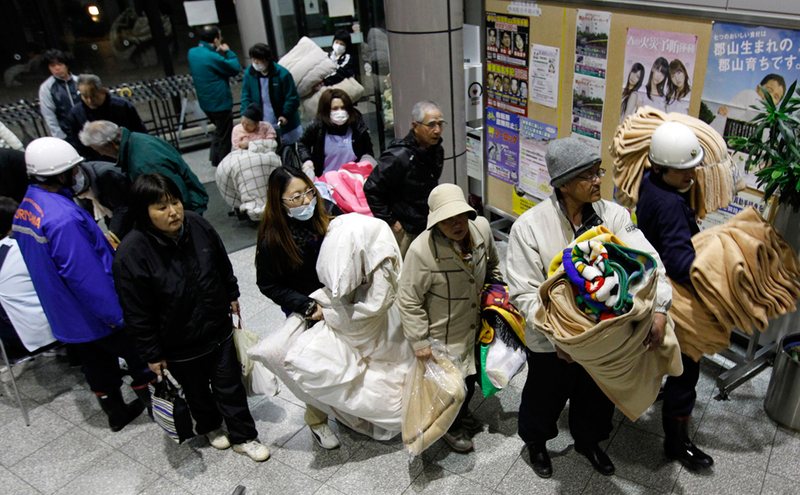 Japan’s 9.0 earthquake on March 11 caused a massive tsunami that crippled the cooling systems at the Tokyo Electric Power Company’s (TEPCO) nuclear plant in Fukushima, Japan. It also led to hydrogen explosions and reactor meltdowns that forced evacuations of those living within a 20km radius of the plant. After dumping thousands of tons of radioactive water in the sea, Japan appears to have been stunned to find that the radioactive content of various fish has surged and is now above just imposed radiation safety thresholds. 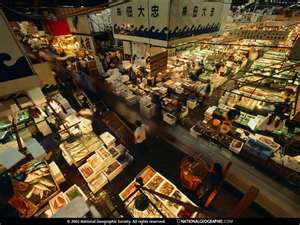 From Kyodo: “Japan hastily set a legal limit Tuesday for the permitted level of radioactive iodine in seafood as safety concerns spread overseas in the wake of continuing leaks contaminated water into the Pacific Ocean from the crippled Fukushima Daiichi nuclear power plant. 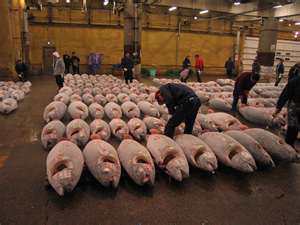 The limit of 2,000 bequerels per kilogram set by the Ministry of Health, Labor and Welfare for radioactive iodine in marine products such as fish and shellfish is the same as that already adopted for vegetables, Chief Cabinet Secretary Yukio Edano told a press conference. The imposition of the limit followed the detection by Japanese authorities 4,080 bequerels per kilogram of radioactive iodine in young sand lance caught Friday off Kitaibaraki in Ibaraki Prefecture, which prompted the health ministry to consider setting a limit for fish and clams. Different young sand lance, also caught near Kitaibaraki, were found to be contaminated with 526 bequerels per kilogram of radioactive cesium, exceeding the legal limit of 500 bequerels already set by Japan.” And now that Japan has another crisis scenario fall out to deal with, other countries no longer have faith that Japan has any control over the situation and are imposing complete bans on Japanese food imports: first India, and soon everyone else. Expect sushi prices to surge momentarily. India said Tuesday it will suspend food imports from Japan for about three months to prevent food contaminated with radioactive substances leaked from the crisis-hit Fukushima nuclear power plant from entering the country, Press Trust of India news agency reported. Specific food items subject to the suspension were not immediately disclosed, but marine products and fresh fruits are expected to be among them. India’s health ministry said the import suspension will last until it can obtain reliable data proving that the levels of leaked radioactive substances are safe, according to PTI. Chief Cabinet Secretary Yukio Edano dismissed the need for an immediate ban on shipments of marine products from the affected areas, but he pledged to toughen inspections to ensure that contaminated products do not reach markets. The government will make further efforts to provide sufficient information to other countries through diplomatic channels regarding its efforts to contain the leak of radioactive substances from the plant, the top government spokesman added. Given that radioactive substances exceeding safety limits have only been found in a small number of samples so far, Edano said, ”We want to proceed by monitoring (contamination) closely and grasping the broader situation rather than immediately regulating” shipments. 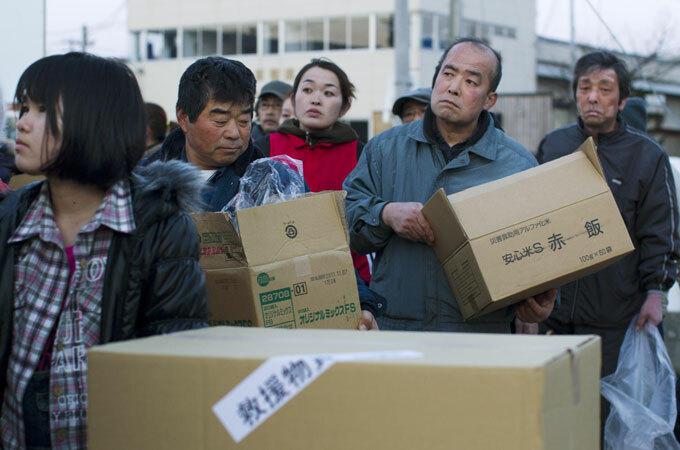 And while the diplomatic wrangling over who is right and who is wrong is about to spike in earnest, Japan can kiss its fishing industry goodbye, as well as scrap food exports for the indefinite future. Since origination of our Federal Reserve in 1913, banker-controlled dollar devaluation has been ruinous. When a long list of really bad stuff piles-up over several years the ending is beyond ugly. We suspect the crack-up-boom ending is near as this fundamental list has grown way too long and those allegedly in charge are way beyond stupid as to potential outcome. Geopolitics was so mishandled it appears deliberate. Since the Napoleonic Wars when the Rothchild’s lent cash to both sides, crooked bankers have been busy planning the final solution for a one world government power using one currency. While this nefarious plan has worked so far, we have to wonder how it ends in America with millions of guns, super angry citizens and global banks holding treasury paper as valuable as potty tissue. How lovely that their own toxic paper takes them down. The bond-credit-currency-confidence-games end when confidence leaves town. We think it went away earlier this year. Where’s the Money? Money is the real stuff made from commodities, commodities themselves, and hard asset manufactured goods. 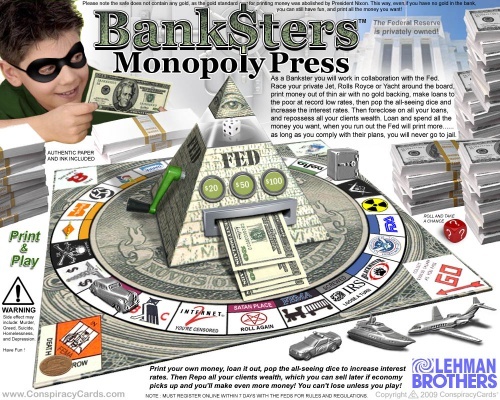 Play money is all the fiat currencies and bonds produced from and backed by nothing. Even some stock markets are play money. In our view government credit for nations, states, municipalities, and that of most private, commercial, and citizens, has been severely damaged and in many cases irreparably damaged. The QE2 continuation digs the hole deeper and we think the end is in sight when former buyers of USA paper quit buying. In many cases buying has already either slowed or stopped. Bond markets are damaged and being further damaged by the printing binge of Bernanke and Geithner. We are not alone. Other nations are doing the same thing in varying amounts. Budgets are shattered and in most cases there is little hope of full repayment. No bonds; no system. As we write today, Portugal is on the brink. There has been no major improvement in food growing, crops or farm management in the past decade. Yet, over one billion new mouths were born and must be fed. Next, Asia that formerly existed on a modest diet, is demanding up-grades in most all food groups because they can afford it. This imbalance appears to hit the world food system this year as weather is not cooperating and grain supplies are way too low. One US grain analyst said we had better have a big corn crop this year along with wheat or, we are into major problems with prospects of rationing. With USA corn reserves at a 37 year low, I suspect rationing is inevitable with higher prices; either in 2011 or 2012. Energy production and demand has been fractured with nuclear problems in Japan, disruptions in the Middle East and lack of a coherent energy policy in America. Crude oil is now firmly supported at $104 per barrel and our forecast for 2011 is much higher on forthcoming shortages and new inflation. USA refineries are shrinking in number as it costs $6 Billion to build a new one, and operators can’t get permits to build them, and refinery profit margins are too small to match investments. Consequently, the US is purchasing about 35% of its refined unleaded gasoline demand from imports, with fuel arriving on ships daily. In our view, big global producers prefer to buy out wildcatters and not take drilling risks. Next, they also prefer to tap foreign oil sources, first leaving domestic reserves in the ground for later production. This creates a higher risk for America, being dependent on others; particularly geopolitically unstable others.